Storytelling is a critical element of creating great, engaging online content today. Listen as Julia highlights examples of top storytelling brands, including a crappily hilarious ad clip from Poo~Pourri, an incredibly creative storytelling brand. 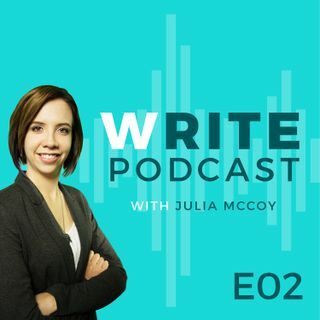 Julia explains easy ways any business can discover and tell their story online, and discusses how characters matter in storytelling and how they resonate with any audience. Follow Julia's Write Blog at: expresswriters.com/blog. See more podcast ... See More details: expresswriters.com/writepodcast.